Transfer cooked quinoa to a large bowl and let cool. Pour olive oil into a large skillet over medium heat. Add chicken and roasted garlic, stirring it all around to coat with oil. Sprinkle with smoked paprika and salt. Stir and cook until chicken is done, about 8 minutes. 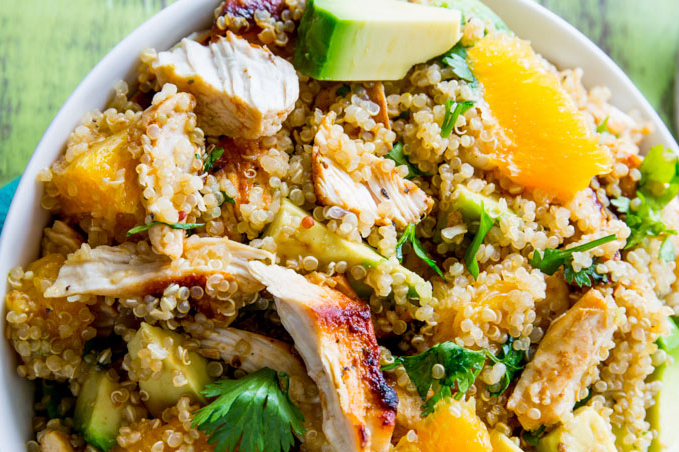 Add cooked chicken, oranges, and avocado to the quinoa. Stir to combine. Set aside. For the dressing: whisk all of the dressing ingredients together. Pour over salad and toss to coat everything evenly. Serve immediately. Leftovers keep well in the refrigerator for 4-5 days. Make ahead tip: This is a perfect recipe to make ahead of time because the flavors taste amazing by day 2. Simply prepare through step 3, cover tightly, and refrigerate overnight. 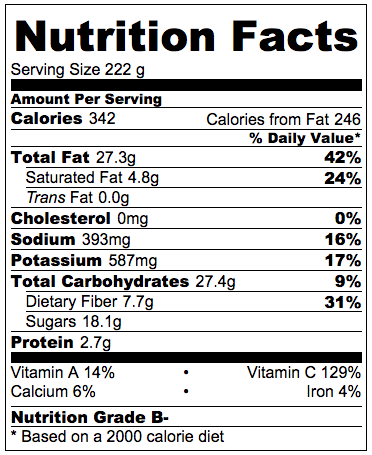 I got this awesome recipe from Sally’s Baking Addition, feel free to check out their site for more great recipes!